AS Nigerian children celebrate Children’s Day today, the harsh economic realities in the country, worsened by the recent fuel scarcity, may be taking the shine off the always-cherished celebration. Although the idea to set aside a special day for children around the world was originally mooted by Rubab Mansoor, a child in the eight grade, it was first proclaimed by the World Conference for the Well-being of Children in 1925 and then given global prominence in 1954. However, Nigeria chose May 27 as the official date to mark Children’s Day in response to a call from the United Nations to member states to set aside a day to promote mutual exchange and understanding among children, initiate action to benefit, and promote world’s children and celebrate childhood. But the celebration, which usually witnessed march-pasts by primary and secondary school pupils in both local council headquarters and state capitals, has begun to lose the glamour that accompanied it in the 70s and 80s. 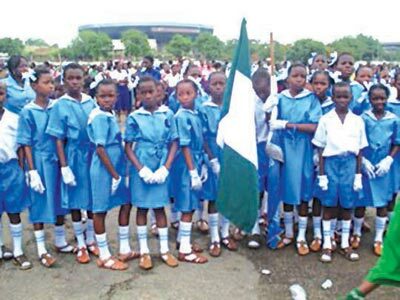 According to Mrs Juliana Orji, a mother of three, the economic situation in the country has already taken its toll on the celebration as many schools in Lagos and other neighbouring states, especially the private schools, have already directed parents to take their wards out to mark the day, as they could not organise any programme for them. Apart from these many pupils are still out of school because their parents cannot afford to pay their school fees. An Economics teacher at a public school in Isolo, who simply gave his name as Kunle, said the fuel scarcity, which has grounded businesses in the country, has taken the shine off the 2015 Children’s Day celebration, as they could not afford to take the kids out. Another teacher at a private school in Mowe said many of children have not been in school since Monday because the school buses could not get the petrol to transport them. In some cases the children were found hawking on the streets despite the dangers associated with such act. Also in Abuja, public schools in the Federal Capital Territory were shut down on Monday as the Nigerian Union of Teachers (NUT) embarked on a strike. The union, it was learnt, decided to go on strike “due to the non-payment of some allowances by government and non- implementation of the 2013 and 2014 promotion backlogs. A Senior Secondary School pupil, Iyanu Oladipo said there could be no celebration when majority of children are not in school because their parents could not afford to send them to school. The SSS 1 pupil of Senator Ville Academy Ijere in Owode-Obafemi Local Council of Ogun State, said it was because of the important role of children in the society that the UN General Assembly set aside the day to celebrate and honour children throughout the world. She, therefore, called on the incoming government of Muhammadu Buhari to ensure that every child in Nigeria is in school by declaring a free and functional education for Nigerian children. According to her, the welfare of teachers should also be taken seriously because it is only when they are well remunerated that children could feel loved and celebrated. However, it is not all gloomy news as some churches, schools, broadcast stations and other organizations have planned elaborate programmes for children to mark today’s event. While some plan to take them to picnics and amusement parks, others have decided to teach them those morals they would imbibe to become responsible adults in the future. Nigerians have also set agenda for the in-coming administration concerning children as it mounts the saddle in two day’s time. A civil servant and a mother, Mrs Esther Bakare, who lives along Mile 2-Oshodi axis, said that children are the future expectations of our great country. “We can remember the instance of a senator marrying a 14-year-old child and the case just died down like that. There are cases of children carrying children, that is, children impregnating children. All these should be considered by the incoming administration. Mrs. Wemimo Afisunlu said while children are being celebrated, their tomorrow must be given a clear consideration. “Parents should have time for their children. Many parents are pre-occupied with jobs that they do not mind or get involved in the daily activities of their children, let alone monitoring their growth. This is bad for the future of these children. Parents should rise up to the challenge of taking care of their children, not only schooling, but in every other areas where they need to be moulded to be good citizens of the nation in future,” she advised. Caveat Emptor (Buyers beware). A word to the wise.